I’ll admit, this post is coming a little late in the year considering the weather but, it’s such a perfect spot for a mommy date that I have to share it with you. The Menchies Whitby location has lots of room to maneuver a stroller and all the tables are plastic so spills and toys being thrown around ain’t no thang. 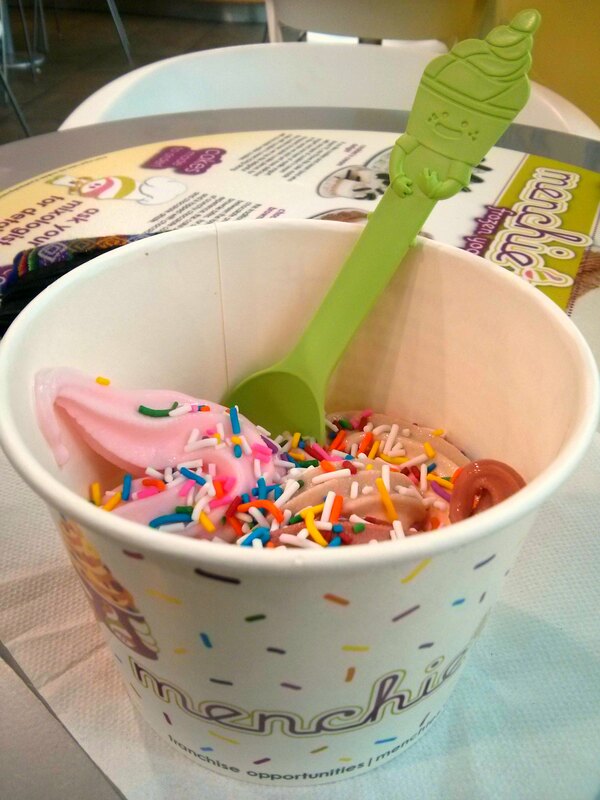 Come here before the after school rush for some time out or better yet – ask out a new mommy friend for a froyo date! Menchies is located at 20 Broadleaf Avenue, Whitby, ON L1R 0B5 (Brock and Taunton). Cost: Frozen yoghurt and toppings are priced by weight, which is $2.04 for every 100 grams. To give you a sense of size – I paid $3.25 for the frozen yoghurt in my photo.